‘But, where is it on Switch?’ This is a question that’s almost become a meme since the Nintendo Switch launched almost two years ago. Since its release, I’ve carried it with me everywhere. From my old work commute that lasted an hour, to Christmas where I played it with the niece, and for party games for New Year’s Eve. Because of its form factor, it’s always made me think of the games I’d love to come to it, so I’ve always had this constant, ever-changing list of games ‘I’d like to see but it wouldn’t be very likely’, to come to the Switch. Onimusha has always been in this list. It’s a game I used to rent from Blockbuster games in 2001 for the PS2, and ever since I’ve tried to find ways of playing it again, from buying a first model of the PS3 that had backwards-compatibility with PS2 games, to buying a PS2 console, mainly to play Onimusha and its sequels. Yet, there was never a port, never a remaster, regardless of what was announced. It was one of those games I’d always come back to because it was just fun and fun alone. Fun because of its setting, gameplay, and sci-fi elements. Fun because of its wooden acting but only added to its charm. Fun because of the Dark Realm and yet, it just never seemed that the series was going to come back. Then, August 28th of last year, Capcom suddenly announce on Twitter that Onimusha is coming to consoles, PC, and the Switch. 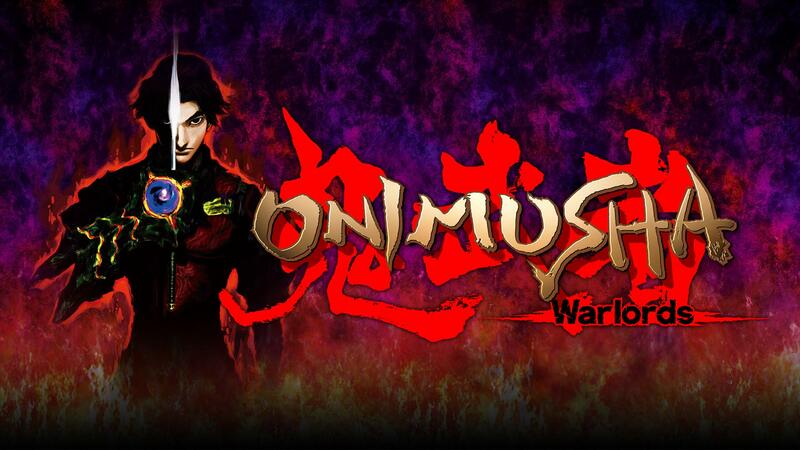 Sharpen your blade for an iconic samurai adventure!#Onimusha: Warlords arrives on PlayStation 4, Xbox One, Nintendo Switch, and Steam on January 15, 2019! To say I was shocked would be a mild understatement. It’s been a long five month wait, but I was fortunate enough for Miketendo64 to receive a code and to offer me the chance to review it, so after spending the last few weeks completing it five times over, here’s my review. You control Samanosuke, a samurai who has found himself in a battle against Nobunaga and his underworld forces in Feudal Japan. The controls will remind you of the classic Resident Evil games, where you can use the D-Pad to turn and move the character in the direction you want. In this remaster, this has been changed with the analogue stick, so you can move him anywhere you want, thereby removing him from a grid-like system. It’s now similar to controlling Dante in Devil May Cry, and that’s only a good thing. You slash and hack your way through a variety of enemies, and with your Soul Gauntlet, you can collect different souls, which you can either trade to improve your weapons, or to recover your health or magic. The puzzles are also a treat, as they can either be optional to unlock items, or simply unavoidable, but each of them are fun and rewarding, and they rarely leave you feeling frustrated. For this game, it actually works, which I was surprised about. I think if this occurred to any other remastered game, you’d either miss out on certain enemies appearing or you’d have slight motion sickness from the screen constantly moving up or down. But when it came to the cut-scenes, it seems that they’ve been redone to accommodate for the widescreen ratio natively, which works well, and a great touch. With it being eighteen years (!) since its original release, there’s definitely some things that have dated. Namely, the pixelated backgrounds in some areas, but other than that, it holds up well. The character models have been upscaled, alongside the effects for enemies and the magic throughout. Even the inventory screen and everything related to that, from the map to the save screen, has been entirely redrawn, looking very sharp and redone for a widescreen display. A great touch. Now to me, the main theme of the game, is the fun challenge of the whole game, this is what kept me going back to it over all these years. The feeling of defeating enemies with your swords, guns and bows never fail to be immersive and satisfying. Yet there’s something else here. Namely ‘The Dark Realm’. Partway through the game, you come across a gremlin-like character, hanging like a bat, and will tempt you into going into this realm. It’s a Battle-Royale mode essentially of multiple stages, facing multiple enemies at once. The more stages you pass, the better the rewards are, leading up to an incredibly maddening but fun conclusion. I would recommend creating a fresh save for this, alongside stocking up on herbs and medicines. This is ideal for a quick commute and some time to kill. I also have to mention ‘Genma Onimusha’. Thanks to the passage of time and nostalgia of the PS2 version, this seems to have been forgotten, but in 2002, a port of Onimusha was brought to the Xbox in the form of ‘Genma Onimusha’, where additional costumes and new bosses were brought in, alongside green orbs. These orbs would be rare, but once 5 are collected, you would be invincible for a certain amount of time, while health would be slowly restored. But a great twist with this, is that enemies can also absorb them too. If they do, they become a ‘super’ version of themselves, ramping up the challenge and making it, even more fun. I’d have loved to have seen the extra bosses in the remaster, such as this incredibly creepy doll. Again, it’s a shame this version isn’t included in this re-release, but there’s always a chance it could re-appear in a future patch or DLC content. Overall, it’s the remaster that I’ve wanted and even though the small font can let it down in both aspects of docked and handheld, alongside missing content from the Xbox port, it’s something I can now go to and complete anytime I want now. From the redone textures to the widescreen benefits, it plays great on the Switch, regardless of which mode you use, and what controller you play it with. It’s the classic saying of ‘Be careful what you wish for’, but in this instance, it’s the exception, as it’s a game that will not only please longtime fans since its appearance in 2001, but introduce itself to new ones. Bring on Onimusha 2.